Former Mercury News editor Susan Goldberg has stepped down as executive editor of the Cleveland Plain Dealer after three years in the post. She will join Bloomberg News as an executive editor. 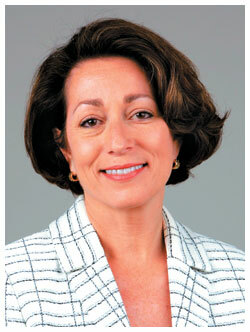 Goldberg became managing editor of the Merc in 1999 and named executive editor in 2003. She left in 2007. She left after being forced to make a number of rounds of layoffs. As she left, parent company Knight Ridder was imploding from a shareholder dispute. In March 2007, a headhunter called her at the Merc. The Plain Dealer needed a new top editor. Was she interested? No, she said at first. Her stepson was a junior in high school, so she didn’t want to move. And now she's getting another do-over with Bloomberg.